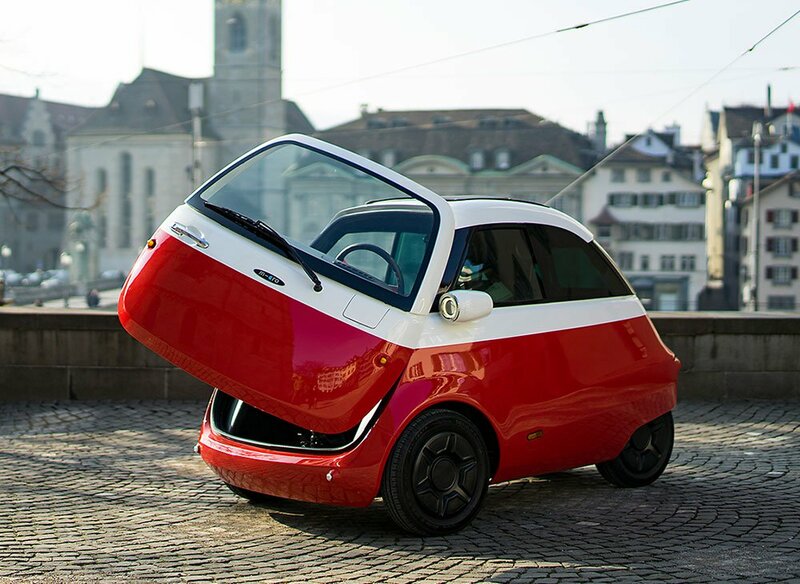 As quirky as the streets it is destined to drive along, the Microlino – a small, electric city car first shown at the 2016 Geneva Motor Show – has passed its last tests and is now legal across European roads. 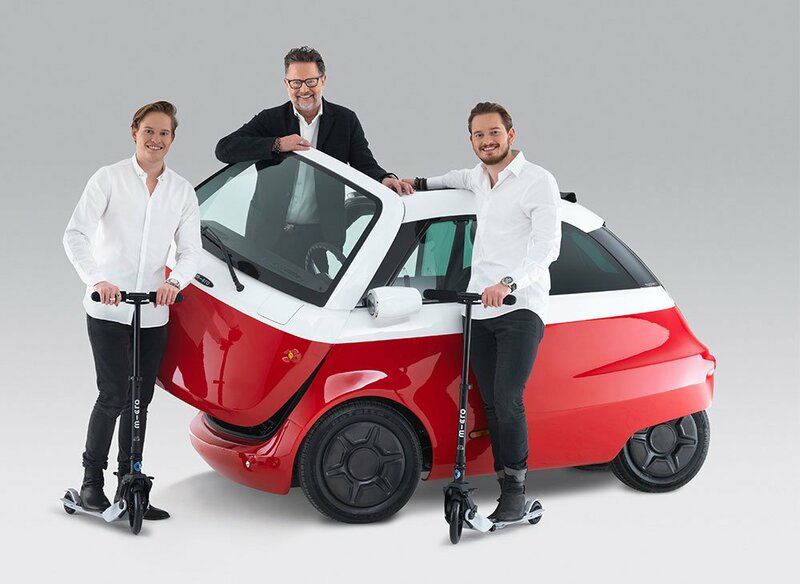 Production starts in december 2018 with deliveries in Switzerland thereafter, before entering into the German market in 2019. 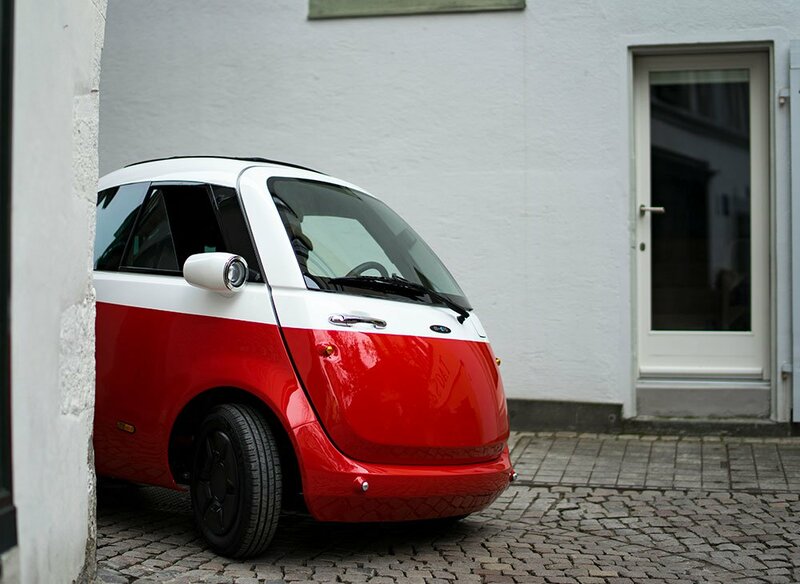 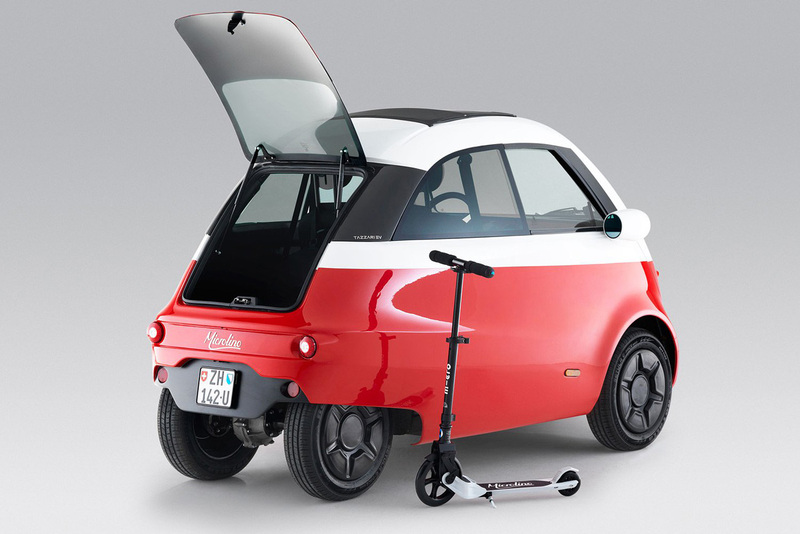 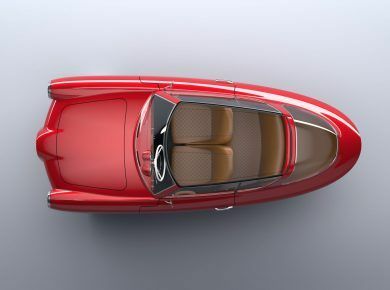 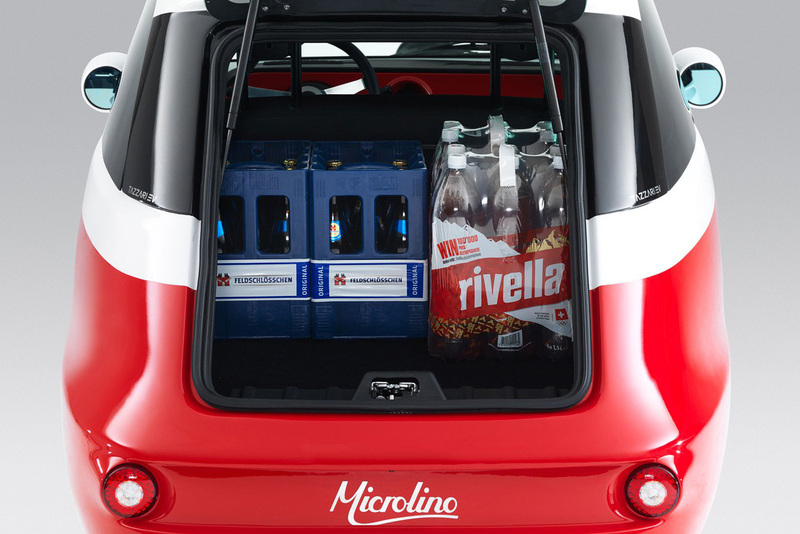 Microlino‘s 2.4 meter-long, dual toned design is based upon a BMW “Isetta” from 1956. 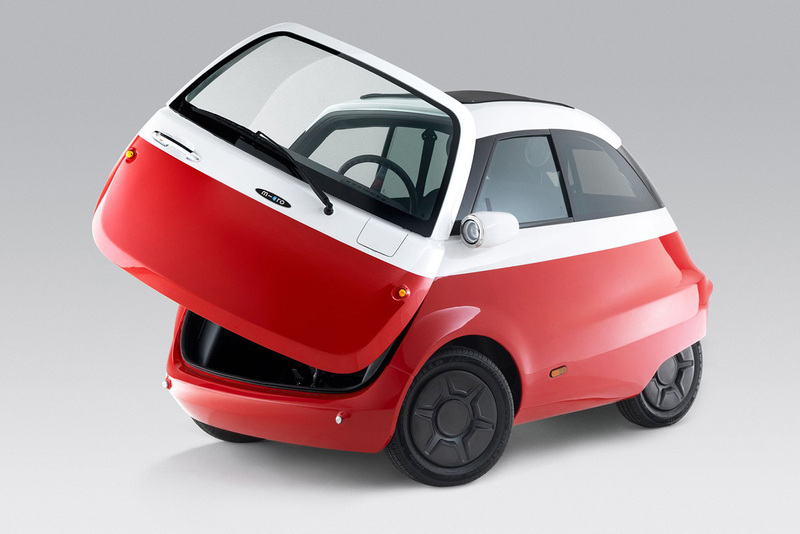 The electrified concept aims to change personal mobility, bringing a max speed of 56 mph and 0 to 31 mph in 5 seconds. 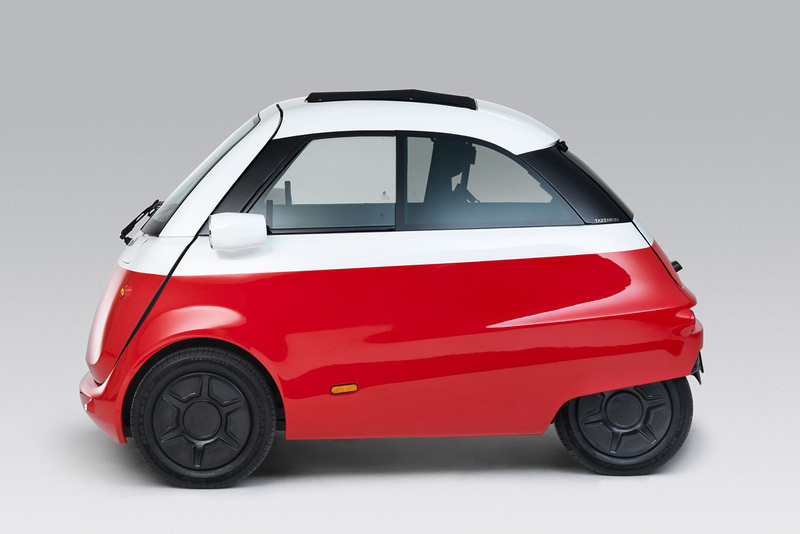 It also delivers two different ranges – 126km and 202km – depending whether the small or large battery is installed – 8kW/h and 14.4kW/h respectively. 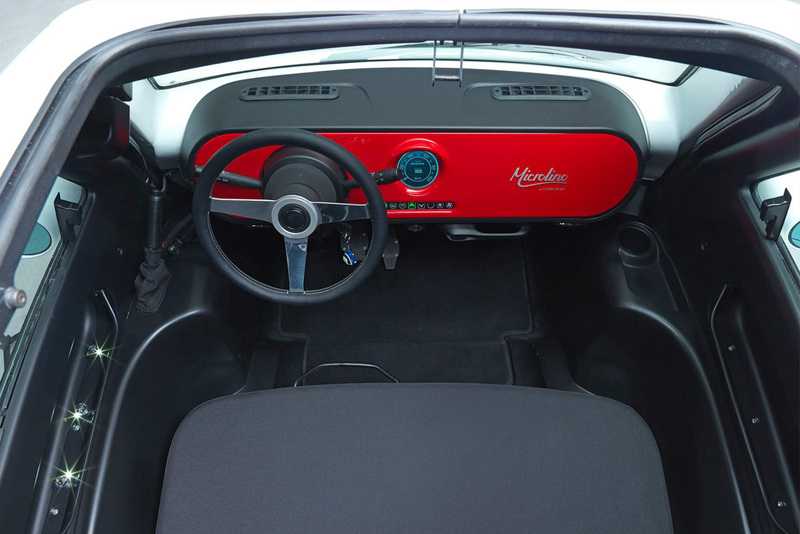 Taking convenience to the next level, the two-seater car can be recharged at any conventional domestic power socket. 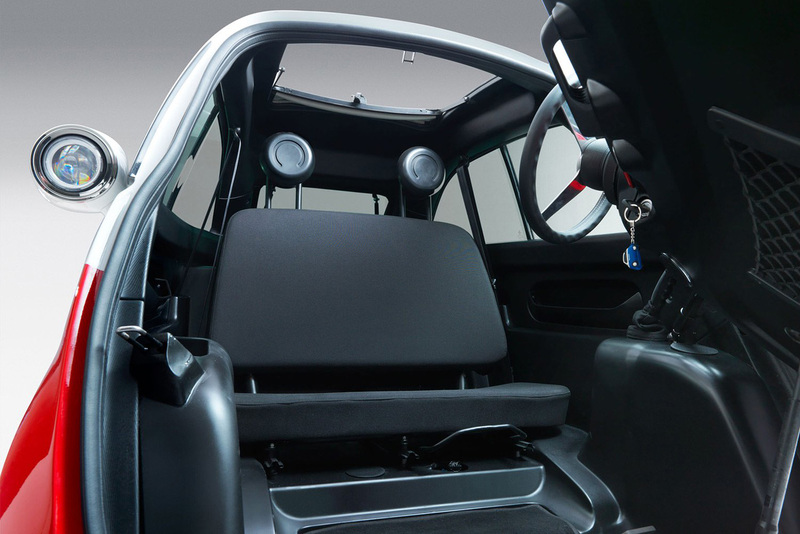 Furthermore, the front door design ensures that, when cross-parked in cities, the driver and passenger can exit and step straight on to the pavement. 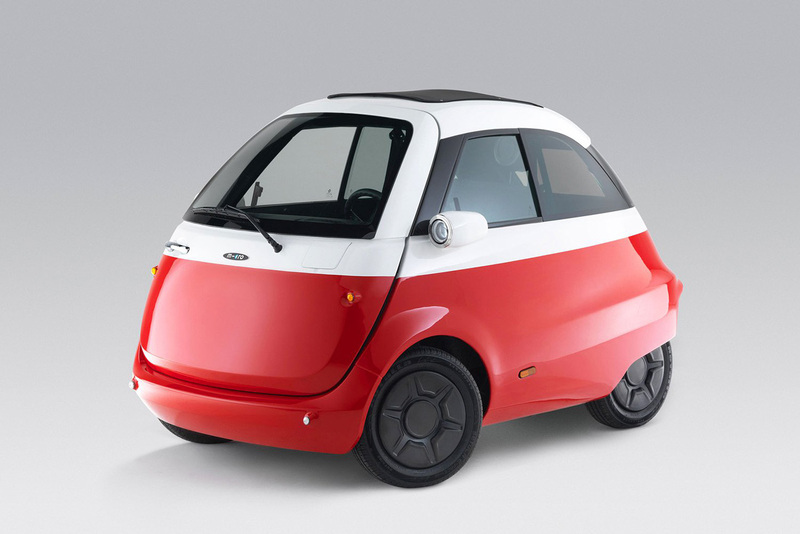 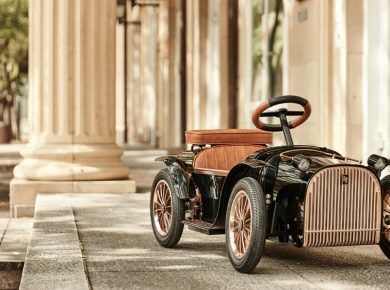 And don’t forget to check other tiny electric cars: Nobe 100 and LSEV.